UMEC 2014 (2nd edition Uganda Mining, Energy and Oil & Gas Conference and Exhibition) is a turnkey event focusing on the Republic of Uganda’s mining, energy and petroleum potential. UMEC will feature two days conference, with presentation sessions and round table discussions, as well as a trade exhibition. The event is organised by the Ministry of Energy & Mineral Development, Republic of Uganda, in association with AME Trade Ltd.
RCM is a systematic way of looking at equipment, its functions, its failure modes, effects and the consequences of failure. The purpose is to select smart maintenance tactics to minimise the consequences of failure and to build an effective maintenance program. Much has happened in recent years to improve West Africa’s access to communications, in particular new submarine cable links and new satellite initiatives.Connecting West Africa is the new event in the Com World Series looking specifically at the networks and infrastructure developments in West Africa. Over two days, the conference will address the major concerns in the region and help key stakeholders plan for the future. Providing Definitive Analysis on IT infrastructure & Operational Technologies and Trends. With mobile, cloud and big data technologies converging and creating an explosion of information access and usage, IT leaders are having to face these challenges head on. East Africa’s foremost IT technology leaders are coming together again for Kenya IT Week 2014. Kenya IT Week 2014 combines the 4th IT Leaders East Africa Summit and the 3rd East Africa Outsourcing Summit. The event aims to encourage the development of a strong IT industry within East Africa by promoting the region as a favourable BPO destination and delivering the practical steps needed to expand the IT talent pool of East African countries to meet increasing demand for IT enabled services. The APESTRANS conference and exhibition will take place from September 23rd to September 25th 2014 in Palais des Congrès, Yaoundé, capital of Cameroon. This event, organised by Cubic Globe Ltd UK in cooperation with the Ministry of Water and Energy of the Republic of Cameroon, aims to highlight opportunities in hydrocarbons storage, transport and distribution sectors in Africa. APESTRANS is an opportunity to discuss the design, operation and quality control procedures of the inland network of African crude oil production and gas facilities, stabilisation plants, pipeline distribution storage and transfers to integrated terminals. The Cloud and Virtualisation Summit Africa offers innovative resources, ideas and best practice case studies enabling your enterprise to apply them immediately in order to leverage the cloud, assisting you in maximising performance, minimising costs and improving the scale of your projects. Improving resource utilisation through virtualising IT infrastructures is fast becoming precedence for enterprises, globally. The much anticipated 2nd annual IT Leaders West Africa Summit will take place in September 2014 in the heart of Nigeria’s business hub, Lagos. The IT Leaders West Africa Summit is bringing together the greatest players, both local and international, across the IT industry in West Africa to network and discuss business with this year’s theme of driving the business forward through innovation. Intermodal Africa is the biggest and most established annual Container Ports and Terminal Operations Exhibition and Conference on the African continent - now in its 12th successful year! SIM Senegal (3nd Senegalese Mining Conference & Exhibition) will take place from 4 – 6 November 2014 The event is organised by the Ministry of Mines, Industry, Agro-industry and SME’s, Senegal in association with AME Trade Ltd. The event will feature a three day conference, exhibition and option to visit some of Senegal’s key mining sites. The veteran editor of the daily Juba Monitor says his paper has been confiscated four times since fighting broke out in mid-December. Former SPLM secretary general Pagan Amum says in an interview that, now that he has been released from jail, he will devote himself to restoring peace in South Sudan. There is massive opportunity for African Telecom operators who are focused on meeting the continents growing demand for connectivity. SatCom Africa 2014 is the place where the satellite & telecoms community meets to explore opportunities, and where they make decisions to invest in new solutions. There is massive opportunity for African broadcasters who are focused on meet the continents growing demand for connectivity. The Boradcast Show Africa 2014 is the place where the broadcast community meets to explore opportunities. And where they make decisions to invest in new solutions. Telco's are looking for solutions to overcome the challenges of building out, investment and pay-back, quality of service and operations. The Rural Telecoms Show Africa is the only exhibition and ideas exchange for African telcos who are hungry for innovative solutions to develop their rural telecom network infrastructure. The Cargo Show Africa is the leading exhibition and idea exchange for the African cargo owning community, who are hungry for innovative solutions in transporting their cargo. This is a platform for cargo transportation solution providing to showcase their business to Africa's key cargo owners and buyers. Africa Rail is the continent's leading railway event. It is Africa's only railway conference and exhibition with attendees from all over Africa and a Signalling & Train control specific conference day. It is supported by government, investors and major heavy haul cargo owners. African ports harbour & terminal operators and major end users are looking to streamline efficiencies and improve operations. The Africa Ports & Harbours Show is the place where Africa's operators & major importers and exporters meet to discuss their transport challenges and propose strategies & systems to overcome their challenges.. And where they make decisions to invest in new solutions. Cutting costs, increasing efficiency and improving productivity are the main business concerns keeping Owners, MD's and FM's awake at night. The Office Manager Show Africa is the only exhibition and networking platform for decision makers and influencers within office administration who are hungry for innovative solutions and new business suppliers. TOP TEN COUNTRIES FOR DOING BUSINESS IN AFRICA. The World Bank's "Ease of Doing Business" index assesses government regulations affecting domestic businesses in 185 countries. The aim of the report is to show improvement in such regulations is good for economic growth. Based on the report we have compiled a list of the top ten African countries for doing business. In Morocco, the tourism, telecoms, information technology, and textile industries are showing the strongest growth. 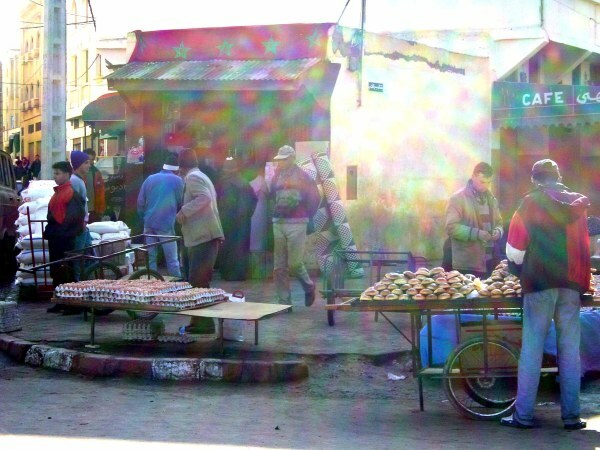 Morocco has made starting a business easier for limited liability companies. 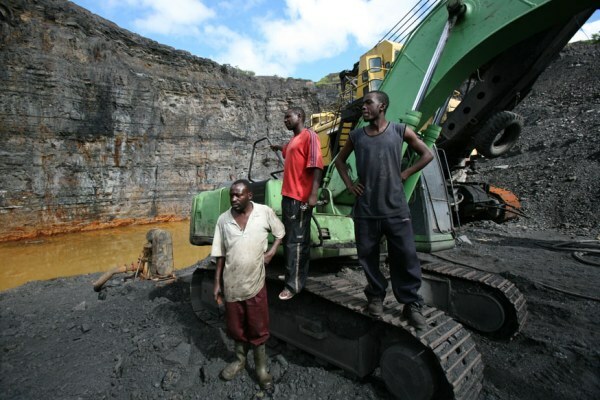 While agriculture and copper mining have traditionally been important in Zambia, the government is now promoting tourism, gemstone mining, and hydro-power as well. According to the 2013 "Ease of Doing Business" report, "Zambia strengthened its insolvency process by introducing further qualification requirements for receivers and liquidators. The most important sectors in Namibia are mining, agriculture, manufacturing, and tourism. According to the World Bank, "Namibia has made getting electricity easier." Namibia however dropped the most number of places in the top ten African countries in the index. Namibia fell six places - it is now the 87th easiest place in the world to do business. 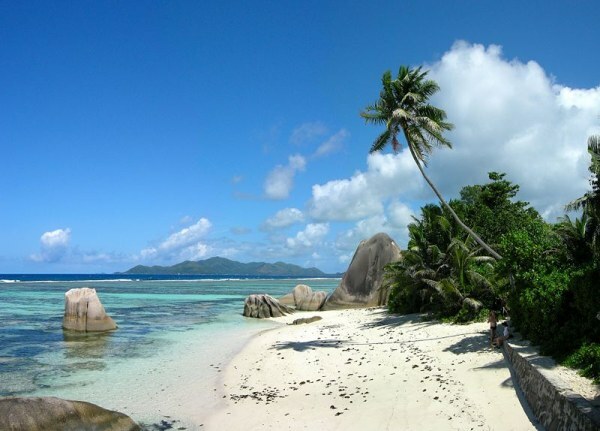 Tourism is the main industry in Seychelles, a gorgeous country composed of 115 islands. Fishing, farming, vanilla and coconut processing are also important industries. Seychelles jumped up two places in the ranking, since 201,2 to 74th on the "Ease of Doing Business" index. Ghana exports a variety of resources, including industrial minerals, timber, cocoa, petroleum, natural gas, and gold. Information technology, retail, tourism, electricity generation and oil production are all important to Africa's ninth largest economy. 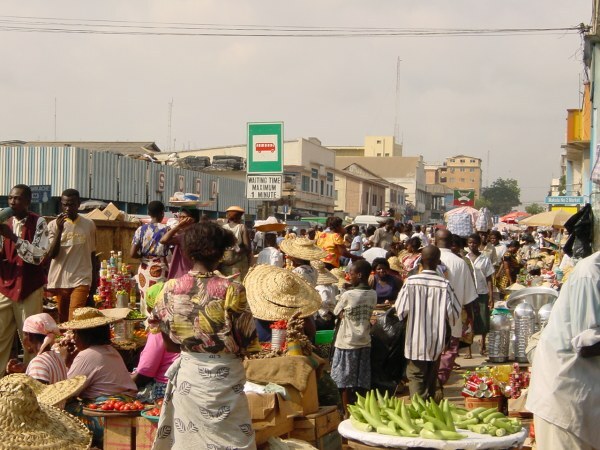 According to the World Bank, Ghana is the 64th easiest place in the world to do business in. Since independence, Botswana's economy has had one of the fastest growth rates per capita in the world. 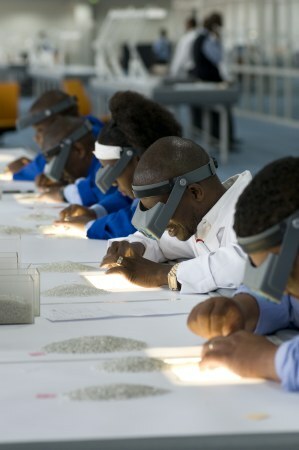 Diamond and precious metal mining are vital to the Batswana economy, but the government is working to diversify their industries. 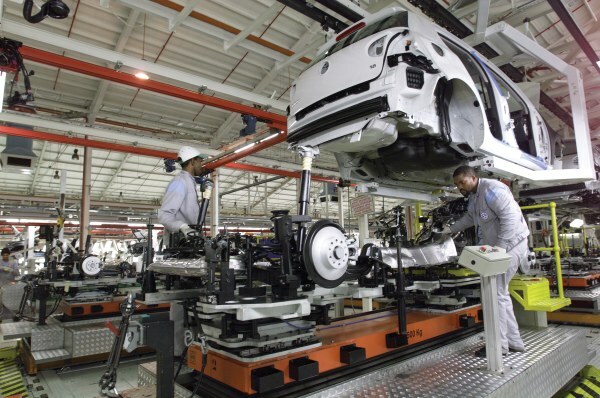 Botswana has made importing and exporting faster, according to the 2013 "Ease of Doing Business" report. Tourism is one of the fastest growing sectors in Rwanda, also known as the "Singapore of Africa." Despite almost a decade of civil war, citizens' and leaders' commitment to reform has paid off with a strong economy and healthy business climate. 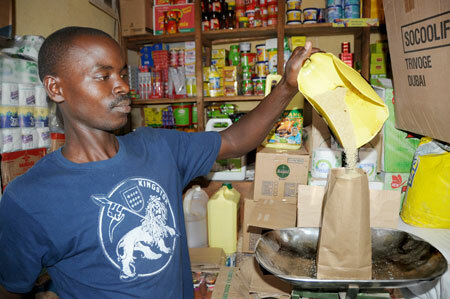 According to the World Bank, Rwanda is the 52nd easiest place in the world to do business in. Tunisia has a diverse economy, important sectors include agriculture, mining, manufacturing, petroleum products, and tourism. 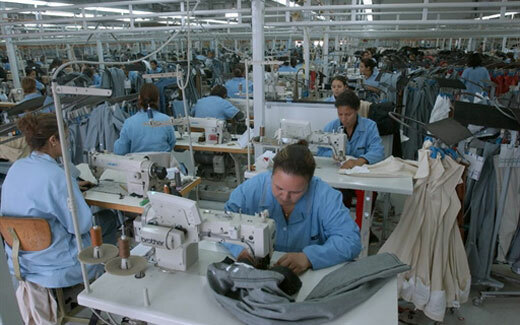 In 2009, Tunisia was ranked the most competitive economy in Africa. Tunisia dropped five places from last year to the 50th easiest place to do business. In South Africa, tourism, auto manufacturing, information and communication technology development, and mining are the key industries. 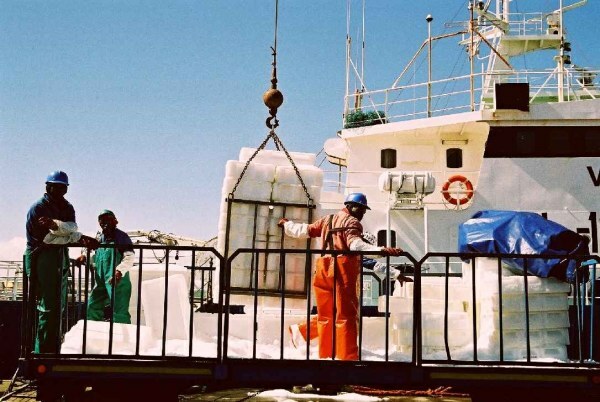 According to the World Bank, South Africa has reduced the time and the number of documents required to export and import through its ongoing customs modernization program. Mauritius' economy is based on tourism, textiles, sugar, and financial services but has recently added many other important sectors such as information technology and renewable energy. According to the 2013 "Ease of Doing Business" report, Mauritius made property transfers faster and has improved access to credit information. Since 2012, the country has moved five places up on the index - it is now the 19th easiest place in the world to do business. Can South Africa become the new blockbuster hotspot? South Africa's varied and dramatic landscape has provided a photogenic backdrop for an increasing number of Hollywood productions in recent years. Made in Ghana: Luxury shoes put sparkle in your step. The materials are imported from places like the United States and Italy but all shoes are crafted by hand here in Ghana. Celebrate your special moments with one of our delicious fruit arrangements. Not only are they beautiful, they are also edible! Perfect for office parties, sports parties, birthdays, anniversaries, weddings, picnics, romantic evenings, or for any of life’s special moments and celebrations of achievement.